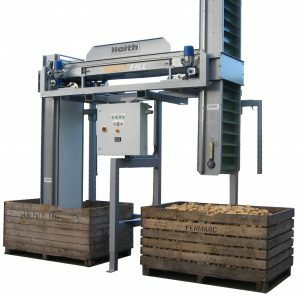 The Haith big bag filler has been specially developed to fill both big bags and boxes. The product is carefully placed in the big bag or box by means of two conveyors belts with ‘fingers’. The bulk bag filler has a double filling station, so that one big bag or box can be filled, while the other big bag or box is changed.